1-No more da vinci dresses for the play;( but the dresses we got are very cute! they are teal, knee length, v-neck dresses that look nice on ALL the bridesmaids! 2-tonight is opening night for mario and marys wedding! 5-also, the announcement of the SMCC school play happens today in just 40 minutes, and i cannot WAIT to find out what it is! READ MY LIPSTICK BABY-PALIN 2012! me and my BFF bella!!! A pic from steubenville 2008! I'M NOT A PARROT, I'M A WITNESS! me in the red, one if my bff's in the black!!! **live life to the full!! Heyyy, it's a new post! 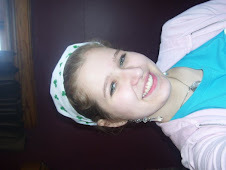 "May the Lord Smile on You"
Proud 2 be a Teen Catholic OHIO Girl! check this out! FUS youth conferences! pro life day of silence! 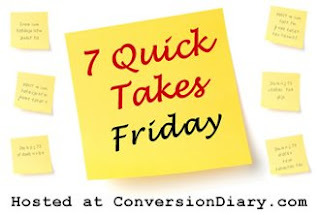 7 quick takes, steubie edition! what we teen catholics adhere to! Sarah Palin for President, 2012! If she runs I will vote for her. Even if she doesn't I still will!